Maybe Loco Larry would know something about that bakery. This looks like the predecessor to the Helms Bakery truck. It must have been loud having the gong mounted on the cab ceiling! 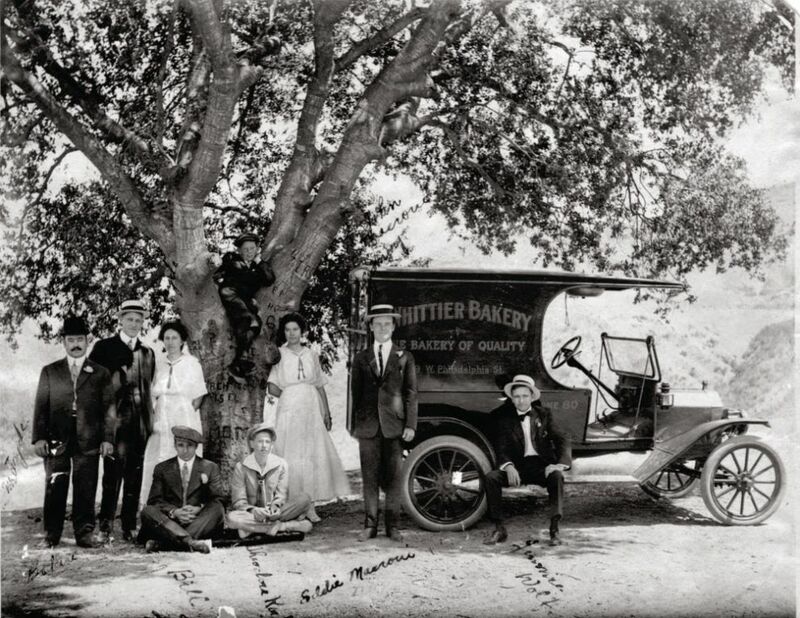 My dad's father was a baker in San Jose, CA starting in the early 1910's. He would tell me stories of delivering bread with a horse and wagon. Then he'd tell me of switching to trucks just like the one in the picture. He said to me many times that on winter mornings they'd, "Crank and cuss, crank and cuss!". This forum would have undoubtedly been helpful to him in improving his starting skills. or maybe even his cussing skills! The original building that bakery occupied might have existed well into the mid-1980's. Much beyond that is very doubtful. Philadelphia street in uptown Whittier was pretty much devastated in the 1988 Whittier Narrows Earthquake and leveled most of the early brick buildings on that Street. The Whittier Historical Society may have city directories from that era that would have information on that bakery. ^^^^^^ who'll get that one Keith? I got it. Almost half baked, Monty. Seriously, an nice body with good visibility for the driver. Great lettering on the side too.